is an EPA registered fungicide and insecticide. Board Defense is a white powder that comes ready to use as a dust or in solution wod treatment mixed easily in water. There are no hazardous solvents to use and no odors. The active ingredient in Board Defense, Disodium Octaborate Tetrahydrate, is a borate derivative wood preservative that will not break down. 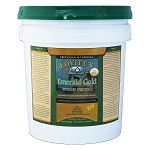 Borates have been used as safe and effective wood preservative treatment for over 40 years. How is Board Defense used? When applied as a solution, Board Defense will use the moisture present in wood to penetrate deep into the board. Since Board Defense does not break down, the active ingredient will be drawn deeper into the wood in time. This provides long lasting and effective protection against decay fungi and other wood destroying insects. However, all wood surfaces treated with Board Defense that will be exposed to rain should be coated with a sealant after the wood has dried from treatment. How does Board Defense work? Board Defense is a slow acting stomach poison to insects and an instant contact poison to wood rot and fungi. As wood destroying insects and their larvae carry on their normal activities, they accumulate Board Defense into their systems. General insects such as ants, cockroaches, crickets and others will ingest the borate through their feeding and preening habits. An accumulation of Board Defense acts to poison the insect. Termites that ingest treated wood can accumulate Board Defense and still move among the termite colony. Food transferred among individuals will also transfer the ingested Board Defense. As the borates take effect, individual termites become sluggish and stop feeding. The remaining termites will avoid affected individuals and the areas in which they die. 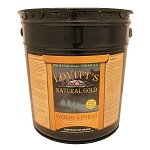 A Board Defense wood treatment is unsavory to termites and is avoided. Additionally, Board Defense dusted into wall voids and injected into galleries is toxic to termites. Decay fungi, Brown Rot, Poria spp., White Rot and Wet Rots are all killed on contact with Board Defense. Where moisture problems provide good breeding conditions for fungi, Board Defense can be used as an excellent wood preservative against future infection or colonization. Beetle eggs deposited on the surface of Board Defense treated wood will have a reduced hatch rate and any larvae that does hatch will soon die from attempting to eat the treated wood. Additionally, beetle larvae already infesting wood will ingest Board Defense as they tunnel to the surface of treated wood and pupate. Beetles may emerge but will not reinfest the treated wood. Carpenter ants cause rapid and devastating damage by excavating wood for nesting. Board Defense treated wood is very unpalatable and carpenter ants will not excavate it. When used as a dust, Board Defense can be placed in nesting sites, around wall voids, across conduit and around plumbing to control carpenter ants. Board Defense adheres to the pest’s body and is ingested as the ant attempts to clean the powder off. It also acts as a desiccant and can break the exoskeleton and dehydrate other insects. Cockroaches, Ants, Silverfish, Crickets, etc. Board Defense is also effective against other general pests. As a powder Board Defense can be directly applied to insect harborage areas or in a solution as a crack and crevice treatment. As the insects crawl through treated areas, the Board Defense adheres to the insect’s body. The tiny particles are then ingested as the pest attempts to clean the powder from its antennae and legs.